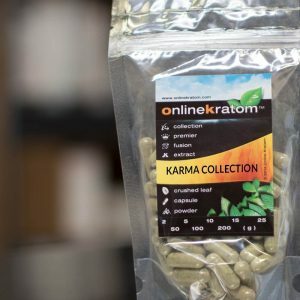 Kratom collections are an easy way for people new to kratom to get a mix of different products in one place. Premier theENHANCED Kratom Collection A premier version of our standard theENHANCED collection that’s been strained and sifted more extensively to remove as much stem and vein as possible for more effectiveness. theENHANCED Collection is great way to sample five fusions that has been blended with our proprietary extract. Which one will be your new favorite? A smaller amount of these Fusions are recommended for those new to Kratom or those that are used to a standard or slightly-enhanced strain. Contains: (15 grams each) Ganesha Fusion, Durga Fusion, Indra Fusion, Samsara Fusion, Varuna Fusion. Looking for a Kratom fusion that’s a little more potent? theENHANCED™ Collection is a great way to sample each fusion that has been blended with our proprietary extracts. Which one will be your new favorite? *A smaller amount of these Fusions are recommended for those new to Kratom or those that are used to a “standard” or “slightly-enhanced” strain. theRAMA Collection A Kratom Collection was created for those who are new to Kratom. This variety of our more popular Strains and Fusions is the perfect combination to find what works best for you. Each fusion has been blended with our proprietary extracts for more of an energetic effect. Which one will be your new favorite? *A smaller amount of these Fusions are recommended for those new to Kratom or those that are used to a standard or slightly-enhanced strain. Trimurti Collection Kratom If you like the versatility of trying different strains, are unsure of which strains work best for you or just like to mix and match and create your own Kratom Fusion then the Trimurti and/or Tridevi Collection are a great mix of the most popular strains. This is generally stronger than standard strains. Contains : (25 grams each) Shiva Maeng Da, Kali Green Indo, and Krishna Green Malay.